PARIS — French President Francois Hollande is vowing a “merciless” response to the multiple terror attacks that rocked the nation on Friday after the barbaric Islamic group ISIS claimed responsibility for the massacre that killed over 100 innocents. The attacks were “committed by a terrorist army, the Islamic State group, a jihadist army, against France, against the values that we defend everywhere in the world, against what we are: A free country that means something to the whole planet,” he said in a televised statement on Saturday. The French president outlined that he believed the attacks were “planned from the outside” and had help from those already within the country. 129 people were killed in the attacks, and over 300 were injured, some seriously. Seven of the assailants are dead as well, at least one of which died as a suicide bomber. One of the attackers has been identified as 29-year-old Ismael Omar Mostefai, a French citizen who had been watched for his ties to terror groups. His body was found among the dead at Le Bataclan. “Let France and those who walk in its path know that they will remain on the top of the list of targets of the Islamic State,” it continued. 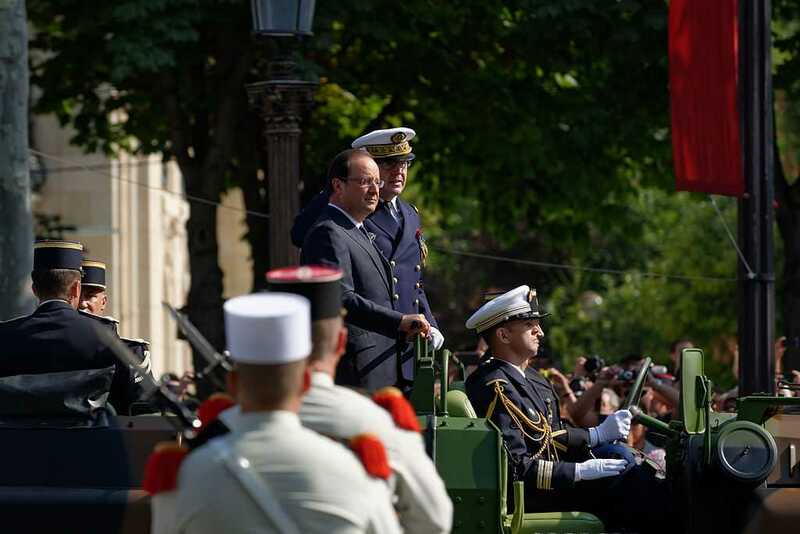 But Hollande vowed to wipe terrorism from the face of the earth with the help of France’s allies. “Even if France is wounded, she will rise,” Hollande declared.